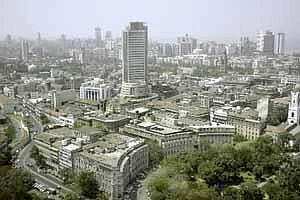 Mumbai: It is midweek and the markets across the world are rejoicing in the latest liquidity infusion to shore up the global financial system. A slew of global central banks announced a plan to make dollar funding cheaper for European banks that are grappling with credit crisis. The US Federal Reserve, central Banks from Europe, Canada, Switzerland and Japan will cut the cost of dollar swap lines, reports The Telegraph, UK. This announcement came after China’s central bank reduced the banks’ reserve requirement ratio by 50 basis points to bolster their economy. Brazil’s central bank too cut its policy rate. Asian markets also moved higher in early trade on Thursday following the upbeat closing on Wall Street as investors welcomed the monetary policy easing by China and other central banks, to ease dollar credit costs for Europe, reports MarketWatch. The Japan’s Nikkei Stock Average climbed 2%, China’s Shanghai Composite advanced 2% and the Hong Kong’s Hang Seng Index jumped 5%. Commodities and Asian currencies have also moved higher. Back in India, the stand-off between Reliance Industries and the government is intensifying as the gas major is against making any fresh investments to revive the declining output from the D6 block, until legal issues are resolved, reports Economic Times. Earlier this week, India’s most valuable company was in the news for starting arbitration proceedings against the government for recovering costs or production from the KG D6 Basin. State Bank of India and other public sector banks are planning to install 40,000 automated teller machines (ATMs) across the country to reach out to more people, reports Economic Times. For this exercise the state-run banks will install white-label ATMs, this will allow the entire operation to be outsourced. Jindal Stainless will now be called JSL Stainless, the company has received shareholders’ approval for raising ₹ 750 crore via the qualified institutional placement, reports Business Standard. The funds raised will be used to fund the green field projects such as the steel manufacturing plant in Orissa. As anticipated, petrol prices have become cheaper by ₹ 80 paise per litre as oil marketing companies pass on the benefits of declining crude prices internationally. This is the second cut in a month, reports Business Line. However, the cash strapped airline industry may face rough weather as the oil firms have hiked jet fuel prices by ₹ 3-7 per litre. The extent of the impact on airlines will depend on whether they are able to pass on the fuel price hike. After the Maruti stir last month, protesters at the factory of car maker Hyundai Motor India may go on strike. On Wednesday 23 former workers were arrested as they began a hunger strike in front of the plant for reinstating employees that were dismissed for their roles in previous strikes. Around 40 workers participated in the strike. Lastly, the ballooning inflation, high interest rates and slowing economy have not only taken a toll on demand for passenger car markets; luxury car makers are also feeling the pinch. Germany’s BMW and Mercedes-Benz have lined up a number of launches in the existing and new segments and also sales initiatives and a capacity enhancement plan to boost production in India, reports Business Standard.